Superdry men’s Academy sport applique hoodie. Strike the balance between casual and cool in the Academy hoodie. 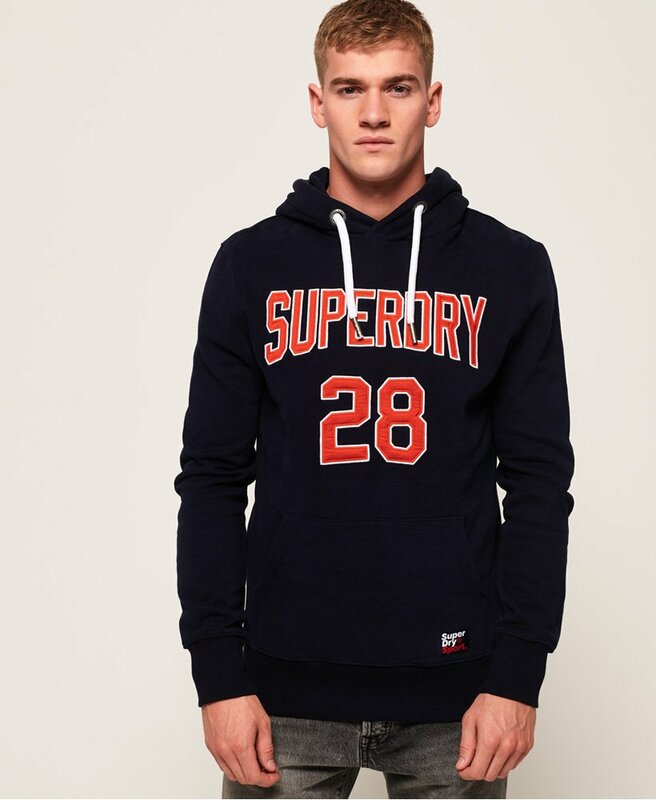 Featuring a drawstring hood, an applique Superdry 28 logo across the chest and a front pouch pocket. This hoodie also features ribbed cuffs and hem as well as a Superdry Sport patch above the hem for the finishing touch. This easy to wear hoodie is a great addition to have in your wardrobe to stay on trend through all seasons.